A new Teenage Mutant Ninja Turtles game popped up on the Xbox Live Arcade Marketplace and Steam today. If you're a 360 owner TMNT: Out of the Shadows marks the finale of this year's Summer of Arcade! If you're a PC gamer, it's just a Wednesday release. We have a launch trailer for you to judge. Do it. It looks fun enough, right? Maybe? I played through the first chapter of this cooperative brawler and I was not impressed. I'll wait to write a full Co-Op Review until I finish the game --all four chapters of it. It's never a good thing when PR doesn't offer review copies to critics before a game's launch. 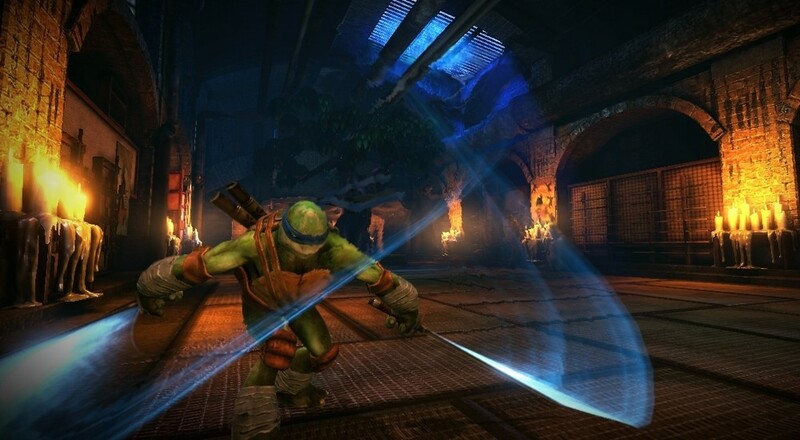 TMNT: OOTS supports four player online co-op, which you probably already know. The main campaign also supports two player local co-op via a boxy split screen which hacks up the aspect ratio. There's also a side-scrolling arcade mode which supports four player local co-op. If you're keeping score for local co-op, that's a two player campaign and four player arcade mini-game thing. I think I enjoyed the old school arcade mode more than the core game. I'll have to play more to find out. Looking around on the web it seems some people like the game way too much and others are hating on it because they can. You know, normal internet feedback. The good news is the 360 will let you play a trial version before you buy, so you can make your own informed decision. I'm sure there will be plenty of folks writing up their thoughts on the game and slapping scores on it in the near future. I should know. I'm one of them. Unless I can get a new guy to do it. Who knows? Maybe the second, third, and fourth chapters are AMAZING! Teenage Mutant Ninja Turtles: Out of the Shadows is available for $14.99 right now from the XBLA marketplace and Steam Store. It will be available on the PlayStation Network this September.